Alcatel Lucent Premium Desk Phones are innovative in their design which meets both the needs of SMBs and mid to large sized enterprises. Premium Desk Phones feature an elegant, contemporary design and combine improved audio and software capabilities with ergonomic features to provide a superior communication experience. With wideband audio a better sound definition and quality is available and the re-designed speaker phone enclosure produces greater volume and projection. A Bluetooth connected handset ensures you have room to roam. Add-on key modules feature ergonomic details such as an adjustable stand and backlit display for more comfortable viewing, whatever the ambient light. The alphabetic keyboard provides fast access to messaging and call-by-name functions. The easy to use navigator and programmable soft keys enable immediate interactivity with phone functions, as well as organisation-wide applications and services available from OmniPCX™ or OpenTouch™ communications platforms. The superb build quality of these phones, as well as their impressive list of features and add-ons, ensures that your investment today will offer excellent communication services for many years to come. Wideband audio and ergonomics improve employee efficiency and productivity. Easy installation – supports plug-and- play provisioning. Easy-to- use feature buttons and interactive soft keys. Offers full range of telephony services. Support for Energy Efficient Ethernet provides improved energy efficiency. Service assurance with SIP survivability. Compatible with 9 Series (Digital Premium Desk Phones). Compatible with 8 Series (IP Premium Desk Phones). IPv6 ready (IP Premium Desk Phones). SIP survivability (IP Premium Desk Phones). 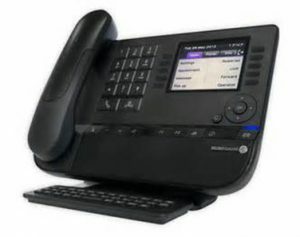 Embedded software encryption capabilities (IP Premium Desk Phones). 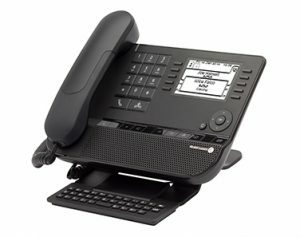 OXO Connect IP Premium Desk Phones 8028, 8038 and 8068.